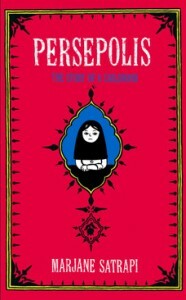 Earlier today, educators, students, free speech advocates, and fans of Marjane Satrapi’s Persepolis were thrown into turmoil with reports that the book had been banned from Chicago’s Lane Tech College Prep. In response to the reports, CBLDF joined the Kids’ Right to Read Project and the National Coalition for Censorship in writing a letter defending the retention of Satrapi’s acclaimed graphic novel in Chicago’s classrooms. After the subsequent outcry and the announcement that students and teachers were going to stage a protest at Lane Tech College Prep, Chicago Public Schools CEO Barbara Byrd-Bennett walked back an order to pull Persepolis from schools. However, she still noted that the book was inappropriate for 7th graders despite previous recommendations for its use in 7th grade classrooms by CPS itself. The book is under review for use in grades 8 – 10, which means it may ultimately be pulled from all classrooms below grade 11. You can read the entirety of the letter below. For more on the story, visit CBLDF’s coverage here.